Tips for Metal Roll-Up Doors for Commercial Overhead Door Replacement and Installation in the U.S. Comparing the features of metal roll-up doors before you buy will ensure trouble-free operation over time. Because there are so many choices on the market, commercial overhead door replacement can be confusing. Doors can vary in size, quality, construction and price. When you replace metal roll-up doors, you don’t want to have to worry about them for many years to come. Please take a look at our price comparison table to see how you could save money when buying roll up doors from us. That’s why it’s important to know what you’re buying. Construction can vary depending on the number of layers of steel and the insulation the door provides. Trouble-free operation is important, especially when doors are used frequently. The components of the door can be as important as the door itself. Helical torsion springs that are calibrated and lubricated can ensure reliable performance and long life. Galvanized drums with roller bearings permanently installed help the door open and close easily through years of wear. Self-storage doors offer extra durability when they resist adhesion. Finishes that include base coat primers and premium top coats will keep your facility looking better with minimal maintenance. There are many sizes to choose from, so you should be able to find the exact sizing to fit your unit. You’ll need to search for doors that will provide the construction quality that will guarantee smooth operation. But you’ll also need to consider installation factors. You may choose to either install the door yourself or hire an installer. Check out factory direct sources for commercial overhead door replacement. You can save money by using factory direct sources to purchase your overhead roll-up doors in the U.S. Most factory direct sources provide instructions for installation or recommend expert installers in your area. Delivery within a 60-mile radius of a distribution center should be free. There are hundreds of distribution centers, so there is likely one near your area. For best results, choose a company that specializes in commercial overhead door replacement. You’ll experience the best outcome and service when you select a provider that specializes in metal roll-up doors. They can guide you to the perfect solution for your needs plus offer a wide selection of manufacturers and the latest products to choose from. Buy Garage Doors Direct has sold thousands of units to both small and large companies and provides a wide product range of doors with state-of-the art performance. Because they are a factory-direct provider, they can offer the best prices. 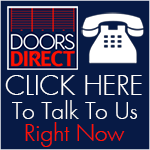 To get more information on commercial overhead door replacement, visit www.getdoorsdirect.com or call 1-877-357-DOOR (3667).